Get Started with the Leading Hair Loss Solution Today! Hair loss is typically caused by excess dihydrotestosterone (DHT) in the body. Procerin's active ingredients target the specific enzyme that converts the male hormone testosterone into DHT, effectively halting the main cause of hair loss. Procerin's topical treatment revitalizes the hair follicle by not allowing DHT to bind to its receptor. This action protects the hair follicle from the harmful effects of DHT and allows it to produce hair. Procerin's topical treatment provides the scalp with much needed nutrients that promote new hair growth in the crown and temple area. 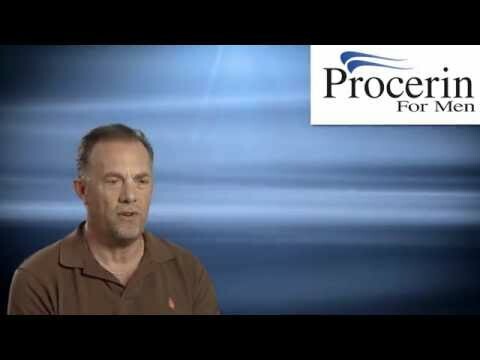 Procerin is most effective for those men whose hair is still growing, but have a thinning or a receding hairline. Procerin's specialized formulation gives the body the building blocks needed for a healthy scalp. A healthy scalp is critical to maximizing the retention of existing hair and the likelihood of promoting new hair growth. Procerin contains the necessary ingredients needed to block the root cause of hair loss and the natural ingredients in Procerin work together to promote healthy hair growth and fight hair loss. Do you see your scalp when you look in the mirror? Does your thinning hair embarrass you? Are you finally ready to do something about it? If you are ready for a change, get started now and order Procerin! The clinical study clearly shows that the Procerin therapy is easy to use and even has beneficial photographic results at 90 days. The results of the initial 90 day Procerin Research study indicate that Procerin generates positive results for Men. 90% of the subjects' perception was that Procerin did slow hair loss. Moreover, the data shows that the vast majority of subjects are satisfied with Procerin and would recommend it to others. I have been using Procerin for almost 3 months, and so far, I'm amazed with the results. I'm 36 years old and have experienced hair loss for the last 16 years. Within a week of using Procerin, I noticed new hair growth. This includes areas that have been bald for many years. I look forward to continued success with Procerin and will keep you advised of my results. - Bruce B. • Wexford, PA.
We are confident that you will achieve your desired results with Procerin, and we back up our promise with an Unconditional Money-Back Guarantee. If, for any reason, you are not satisfied with your Procerin order, simply return the unused portion for a full refund within 90 days of purchase. You will receive a no hassle, no questions asked, full refund of your order price (less shipping cost). Hair Loss Happens! It's time to Get it Back! Roughly 30% of men start to lose hair around the age of 30. Most men will experience hair loss at some point. Men suffering from hair loss generally have elevated levels of a hormone called dihydrotestosterone (DHT) in their scalp. DHT is a chemical by-product of the male hormone testosterone. When testosterone gets converted to DHT in the scalp, the result is hair loss. Procerin's active ingredients are specifically formulated to block this transformation into DHT, and stop the hair loss that DHT causes. Is your hairline starting to recede?. Is your scalp becoming clearly visible through your thinning hair? Is your hair starting to fall out at an alarming rate? If you answered "YES" to any of the questions above, then you need to get on the right track with Procerin. Millions of men just like you suffer from hair loss or thinning hair. Procerin is a clinically proven solution that can help you regain your lost hair. Specifically developed for men, Procerin will start working right away combatting the main cause of hair loss, all the while promoting healthy new hair growth. Procerin is scientifically designed to help men retain and regrow their hair, and stop hair loss in its tracks. The active ingredients are all-natural DHT inhibitors. No harsh chemicals, no messy sprays and no sexual side effects. Simply use Procerin once in the morning, and once before bed. 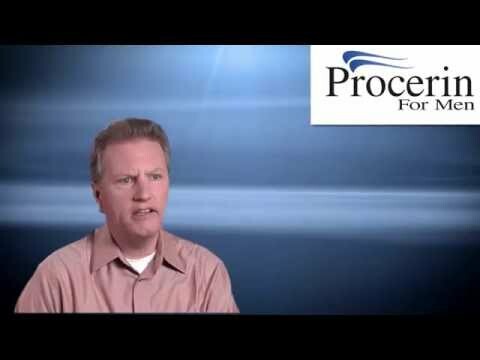 Procerin is the convenient solution to hair loss, available without a prescription. 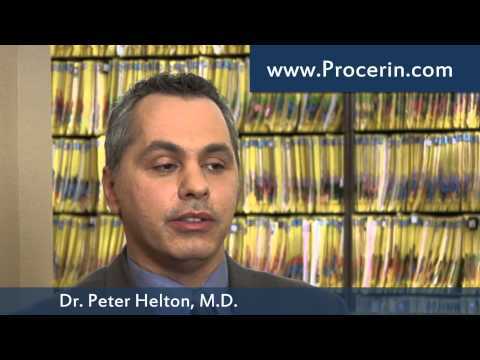 Procerin is for men that are suffering from male pattern baldness, typically caused by excess DHT. Procerin's main course of action is to block the transformation of testosterone to DHT. Procerin is a real solution for a real problem you are facing. Don't hesitate any longer. Order Procerin RISK-FREE! Proven Ingredients. Real Results. Real Testimonials! I ordered a 3-month supply (as a test) and have noticed a real improvement in thickness, texture and growth… this product has stopped and reversed the hair loss. I have ordered a 6-month supply this time. I have had a bald spot at the back of my head for many years. After having tried Procerin for 3 months, it is all but gone. Almost immediately my hair started to fill in and now it is barely even noticeable. Thank you for making such a wonderful product. Procerin has clinically proven ingredients that target the root cause of male hair loss. 94% of users agree that Procerin slows hair loss. Any man suffering from hair loss can order Procerin. I am absolutely amazed at the results of your product!! I am the world's biggest sceptic and only ordered Procerin out of sheer desperation. After just two weeks I noticed little to no hair in the tub after shampooing. Two months later the bald spot in the back of my head has filled in almost completely!! And...I'm 58 years old!! Great product...I'm sold for life. Procerin's proven hair loss formulation is designed specifically for men and will effectively rejuvenate hair growth. Procerin's dual-combo system will help you experience the real results you desperately need! REAL men are seeing REAL results! 93% said that Procerin helped slow hair loss 93% said they would recommend it to a friend or family member 90% said they were satisfied with their overall results! Don't hesitate! It's your turn to experience the power of Procerin! Procerin works for men of all ages! Are you tired of dealing with a receding hairline or thinning hair? Then it is time that you try Procerin! Question: Can Procerin help stop my hair loss? 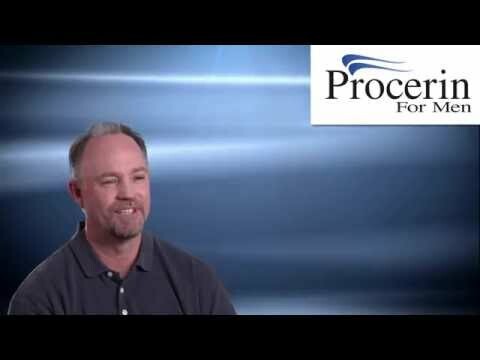 Procerin is a proven solution that addresses the most common cause of hair loss for men. Start today, you have nothing to lose. I'm now on my third bottle of Procerin and I couldn't be happier. Having been an avid gardener for many years, I have a trained eye for noticing minute changes in growth patterns. My hair loss has FINALLY stopped and hair is starting to come back. It's great to see little hairs sprouting and thickening. I'm a long ways from a full head of hair, but this is a great step forward.”. Thanks for stopping my hair loss! I have lost a lot of hair during the past few years. But thanks to your great product, I can honestly say that it has stopped (just in time, I'm almost completely bald). I don't know if I will ever get it all back, but for now, I can definitely tell that it's growing back slowly, which is better than losing it rapidly! Millions of men suffer from hair loss Don't let your hair loss hold you back any longer! Millions of men just like you suffer from some form of hair loss, but the question remains: Are you going to do something about it? Don't be like everyone else and ignore it until it's too late. Regardless of what stage of hair loss you are in, it doesn't matter! Whether you are just starting to notice a slight receding hairline, some thinning around the crown or are in full-blown crisis mode, Procerin can help. Remember, Procerin has been scientifically developed to affect hair loss from several different angles. Regardless of what stage you are at, there is a good chance that Procerin can help. Stop waiting around for a miracle! Order a proven product now! Procerin's topical treatment revitalizes the hair follicle by not allowing DHT to bind to its receptor. This action protects the hair follicles from the harmful effects of DHT and allows it to produce hair. Do you see your scalp when you look in the mirror? Does your thinning hair embarrass you? get started now and order Procerin! The clinical study clearly shows that the Procerin therapy is easy to use and even has beneficial photographic results at 90 days. The results of the initial 90 day Procerin Research study indicate that Procerin generates positive results for men. 90% of the subjects' perception was that Procerin did slow hair loss. Moreover, the data shows that the vast majority of subjects are satisfied with Procerin and would recommend it to others. Hair Loss Happens. It's time to Get it Back! Is your hairline starting to recede? If you answered "YES" to any of the questions above, then you need to get on the right track with Procerin. Millions of men just like you suffer from hair loss or thinning hair. Procerin is a clinically proven solution that can help you regain your lost hair. Specifically developed for men, Procerin will start working right away combatting the main cause of hair loss, all the while promoting healthy new hair growth. Men suffering from hair loss generally have elevated levels of a hormone called dihydrotestosterone (DHT) in their scalp. DHT is a chemical by-product of the male hormone testosterone. When testosterone gets converted to DHT in the scalp, the result is hair loss. Procerin's natural ingredients are specifically formulated to block this transformation into DHT, and stop the hair loss that DHT causes. Procerin really works! I thought I was stuck living with my widow's peak, but Procerin came to my rescue. I have been using it for 4 months and it has done an excellent job regrowing my hair at my hairline. I can also tell that it has been working on the bald spot that was starting to develop on my crown. My hair is thicker and fuller too. 90%said they were satisfied with their overall results! Procerin works for men of all ages, guaranteed! The solution to reverse hair loss and regrow your hair is here. Try Procerin RISK-FREE Today! Don't let your hair loss hold you back any longer! Stop waiting around for a miracle! Order a proven product now!